Nick’s practice focuses on ERISA consulting, particularly with respect to tax-qualified plans. His practice includes, but is not limited to, negotiating the resolution of plan defects, prohibited transactions and fiduciary breaches under the IRS’ and Department of Labor’s remedial programs; advising and defending fiduciaries regarding their obligations and liabilities; and structuring qualified plan, 403(b) plan and non-qualified deferred compensation arrangements. Nick also advises clients regarding the employee benefit aspects of mergers and acquisitions. Prior to entering private practice, Nick worked for the IRS in the Employee Plans and Exempt Organizations Division (now known as the Tax Exempt & Government Entities Division or TE/GE Division), where he served on the Technical Review Staff as a Senior Reviewer for both determination and examination cases, and as a technical resource for the Division. Ultimately, Nick became the Coordinator of the IRS’ Western Region Walk-in Closing Agreement Program, which is now part of the IRS’ remedial program known as the Voluntary Correction Program or VCP. Prior to joining the Technical Review Staff Nick worked primarily in the Division’s determination letter program, where he issued rulings on the legal sufficiency of plan documents. Nick is a current member of the Government Affairs Committee of the American Society of Pension Professionals and Actuaries (ASPPA), and he is a past member of both the Executive Committee and the Board of Directors of ASPPA. Nick frequently speaks at conferences held by ASPPA, WP&BC, the National Institute of Pension Administrators (NIPA) and other industry organizations. Nick served on the Editorial Advisory Board for Thompson Publishing Company and he was the Contributing Editor for Thompson’s Pension Plan Fix-it Handbook. He has also written on employee benefits topics for the Journal of Taxation, the Journal of Pension Benefits and other industry publications. 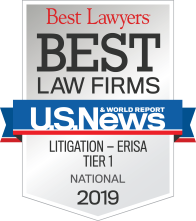 In 2013, Nick was inducted as a Fellow in the American College of Employee Benefits Counsel, the highest level of recognition for an ERISA attorney. Selection as a Fellow reflects the College’s judgment that a nominee has made significant contributions to the advancement of the employee benefits field. 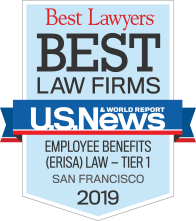 Nick is also listed as a Northern California “Super Lawyer” for employee benefits law.